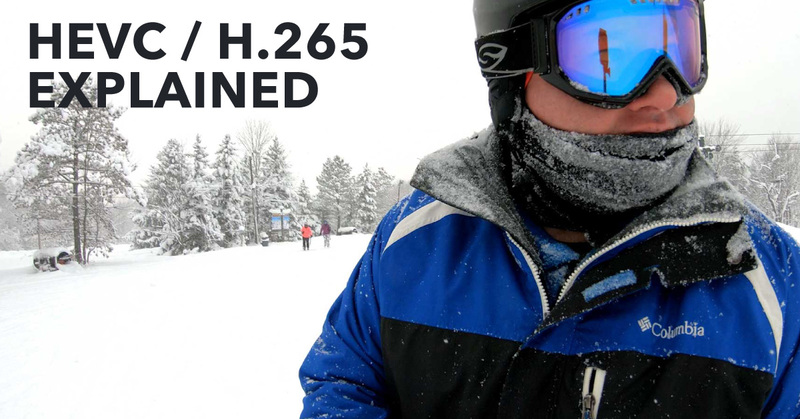 You know by now that I get LOADS and loads of questions from GoPro beginner types, daily, weekly, monthly… it never ends! And I love it because it means I get LOADS of ideas for new videos on my YouTube channel and ideas for blog posts like this one. 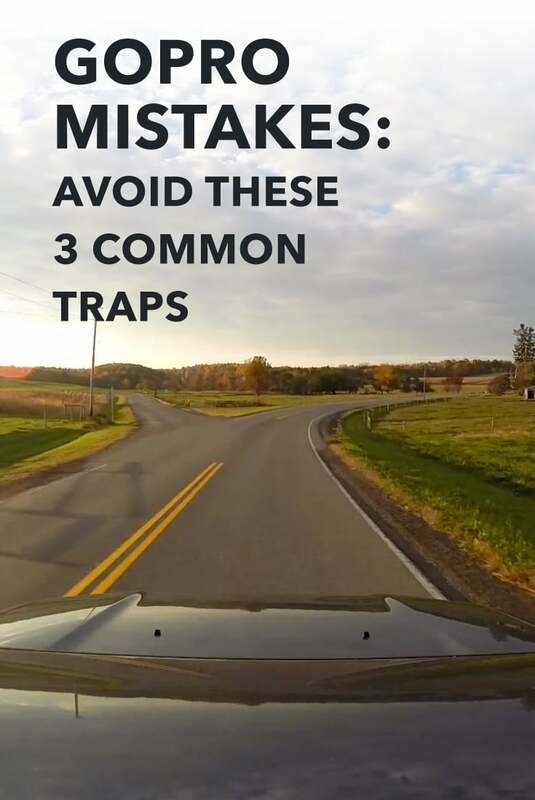 So in this post, I want to help rescue you from 3 common traps that I see GoPro beginners get caught in all too often. And before we dig in, I create a cheat sheet for you, which will help keep you out of these traps! So, What do I mean by traps? I mean things that trip beginners up and keep them confused and eventually, frustrated, with learning this whole GoPro stuff. It’s a really fun and rewarding hobby, and I want to help you get started having fun (instead of headaches 🙂 ) as quick as possible. 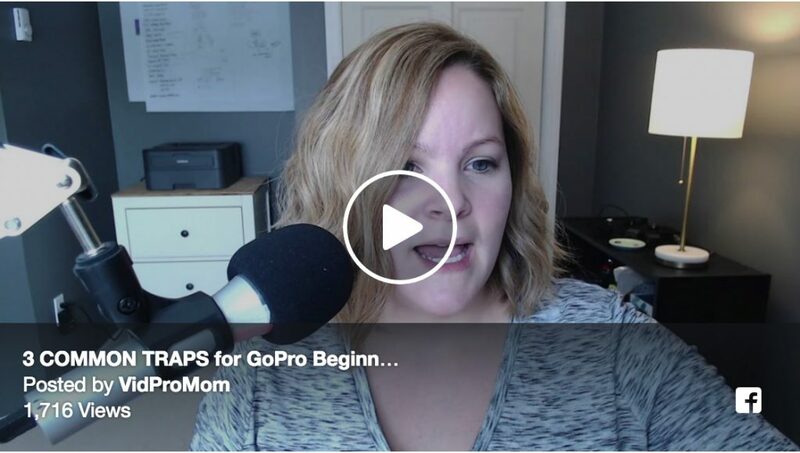 If you missed the live stream on the VidProMom Facebook page, you can click here to watch the replay or hit play below. Be sure to follow my page so you don’t must future live broadcasts like this one! So, don’t get caught in these 3 GoPro Beginner Traps! I see a lot of questions along the lines of “I just got a GoPro, and I’m going on a 5-hour road trip and I want to GoPro the whole thing”. I’d like to reply, “um, why?” but I usually have more tact than that. The reality is, are you going to watch a 5-hour road trip video? 5 hours? of roads? and cars? I get that this seems like an easy first video. 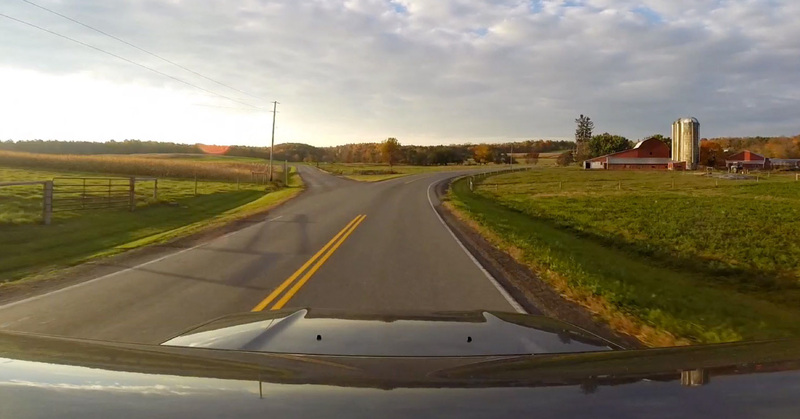 You can set your GoPro on the dashboard or suction cup it to your windshield, and just let ‘er roll. But unless your GoPro happens to capture a high-speed chase or a 40 car pileup, the footage that comes out of your road trip is going to be booooring. You won’t have much of anything to edit into a fun to watch video. 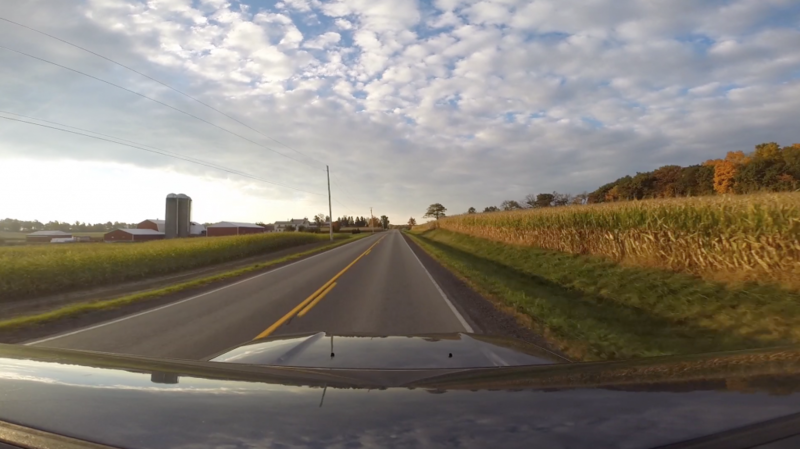 If you’re thinking about capturing a road trip on your GoPro as a way to learn how to use your GoPro, my advice is to play with the settings as you go. Change resolutions. Change frame rates. Turn on Protune. Change Protune Settings. Turn on stabilization. Turn off stabilization. Change to time-lapse mode. Change time-lapse settings. Turn on Voice Commands and practice using them. The idea here is that you’re doing more than capturing your first GoPro video, you’re using your GoPro a TON, learning where settings are, and when you go back and review your footage to edit it into something (or just to see what kinds of results you got from your settings changes), you’ll know what does what. The flipside of the “Long Ride” trap is that “Just the Highlights” trap. What do I mean by this? This is when you shoot ONLY the super cool, rad, awesome, fun, stoked stuff. Just the flips. Just the jumps. Just the splash. It makes sense, it really does. Why else do you even own a GoPro? It’s to capture the epic moments, right? The pitfall of capturing just the epic stuff is that you miss the rest of the story, and your edited video is going to look like a commercial for The Olympics. I love the Olympics, but more than the winning shots themselves, I love the stories of how the athletes got there. So, shoot aaaaaaall the other stuff too. Remember grade school? Who, what, when, where, why… Good times. Capture who is with you (even if it’s just you!). Capture when this occurred, even if it’s just a season, not a specific date. Capture where this epic stuff happened. You get the idea. I actually create a printable cheat sheet to help you with this! It’s a shot list of ideas to help you remember to capture the whole experience instead of just the highlights. There are no best settings. End of story. Ok, maybe I can elaborate. The settings on your camera will depend on what you’re shooting, where you’re shooting when you’re shooting. My best settings aren’t your best settings. Because what I shoot is not what you shoot. 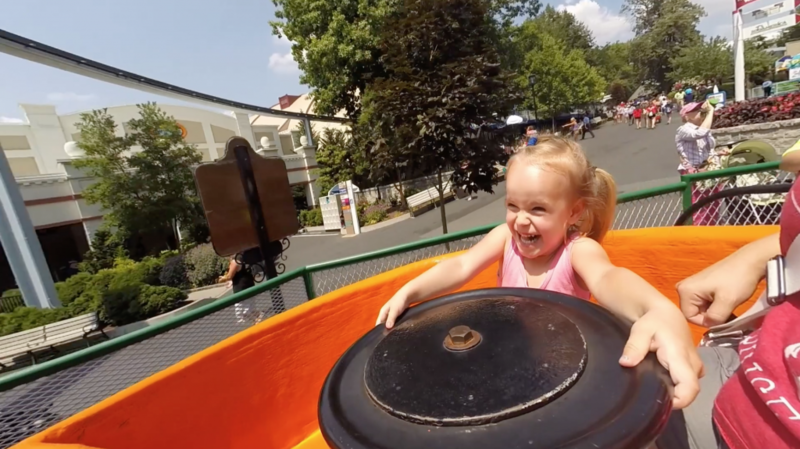 The BEST GoPro settings are the ones in which you know what they do. You gotta learn the camera! You gotta play with the GoPro! Turn it on and start capturing stuff, then see what it looks like! It’s just like every other thing you’ve ever done, in your life, ever. Like ever ever. You learn by doing it. Start there, practice, and learn the rest of the settings as you go. What beginner traps have you fallen into with your GoPro? Leave a comment below so I can add that trap to my list of video and blog post ideas, and we can rescue future GoPro newbies together! Yeah. It’s really an action camera, not meant for low light and long periods of recording. I just got the go pro black 5 to use in lieu of our video camera. I am used to just pressing play and stop on the video camera and then just plugging the sd card into the tv for continuous video playback. With the go pro, each video is a clip. 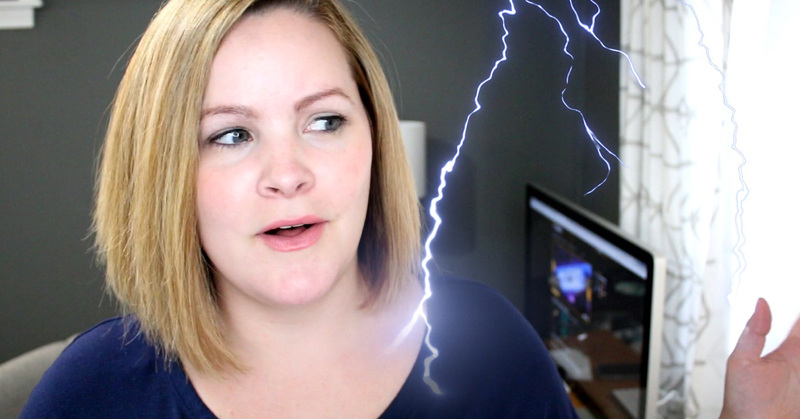 I don’t want to spend time trying to edit videos. Is there an option to just merge all the video clips together and play back as one long video without all the fuss. Hi Valerie, digital video is a lot different than a tradition video camera with a tape in that regard. You’d have to edit your clips together and export as one video in order to see it all as one.